America’s Apple (Brook Hollow Press, 2012) tells a rich and detailed story about apple growing in America, from horticulture to history to culinary uses. Author Russell Steven Powell draws upon his years writing about apples as executive director of the New England Apple Association to write about the best ways to eat, drink, and cook with apples. 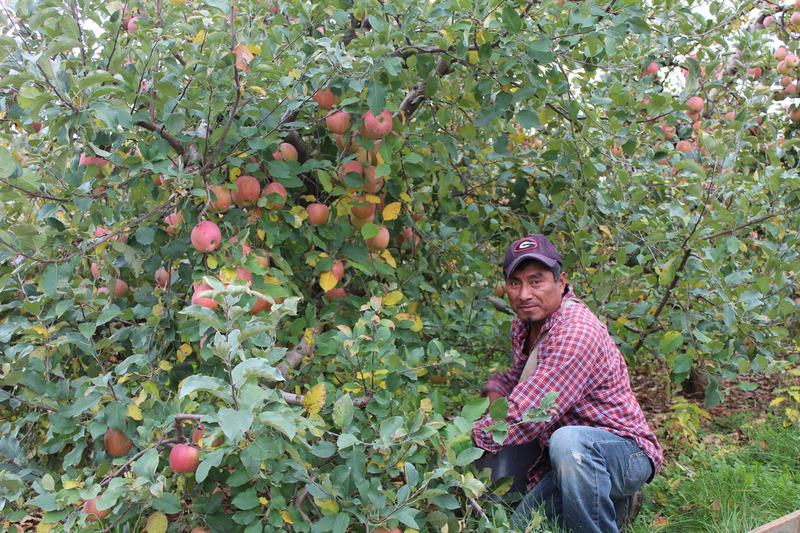 He describes the orchard’s beauty and introduces readers to some of the family farms where apples are grown today, many of them spanning generations. Apples have been cultivated on American soil since the early 1600s, and America’s Apple has chapters about the histories and uses for dozens of heirloom varieties, and the legacy of John Chapman, aka Johnny Appleseed, widely credited with spreading the apple gene in America. America’s Apple includes nearly 50 color photographs from America’s orchards by Bar Lois Weeks, plus an illustrated index of 120 apple varieties grown in the United States.